EPS Diesel has reported the best of news for start-up companies working to get a new design over the finish line: it has gotten additional funding “which should allow them to complete FAA Certification and to obtain production certification for the Graflight 8 diesel engine.” The company said the delay in certification of the eight-cylinder diesel engine was anticipated about a year ago. The delay, the company said, was a result of software certification and funding issues. The EPS Graflight engine is a liquid-cooled, 4.3-liter V8 engine with a compression ratio of 17:1 that’s configured to produce 350-hp while using between about 10 to 18 gallons of diesel/Jet-A fuel per hour. Targeted TBO is a lofty 3,000 hours. EPS has been working on the Graflight 8 engine for several years now and a few years ago successfully demonstrated a proof of concept engine installed in a Cirrus SR22. EPS has come a long way from that point, the company says and plans to soon launch a flight test program with a conforming engine. 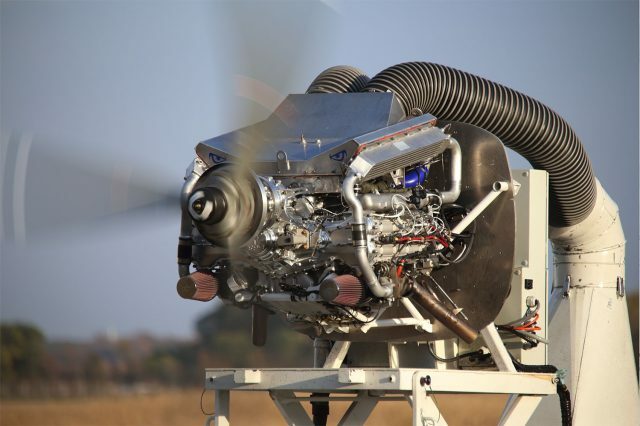 Once the company earns FAA certification for the engine, they plan to develop STCs for various aircraft that could make good use of a powerful V-8 diesel aero engine. It’s not a short list. EPS says that it is also working to finalize agreements with aircraft manufacturers for potential installation of the EPS engine in factory-new planes. Will there be smaller versions to accommodate smaller aircraft? Have new FAA rules made the certification mountain easier to climb for companies working on new technologies and if so what were the estimated savings?